A serious accident involving two vehicles closed the A26 yesterday evening (Friday July 1). 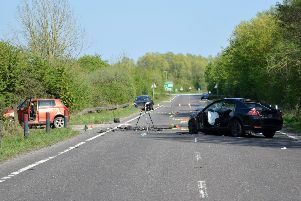 The incident was on the A26 in Ringmer and the road was shut,resulting in delays in both directions between the Ham Lane junction and the Isfield Road junction. The road was shut for several hours but the area has been cleared.